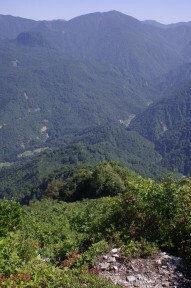 the Kiriaki hot spring from the Mt. 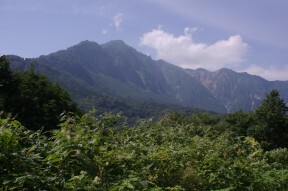 Torikabuto ridge, and the central right -- rising high -- Mt. 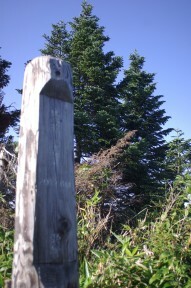 Saburyu. 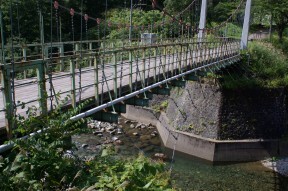 The Nakatsugawa ravine, a suspension bridge, and the Nakatsugawa ravine are the famous places of red leaves. 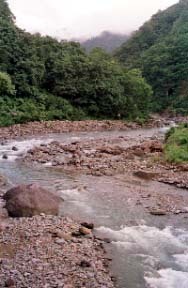 It is an open air bath of a dry river bed to Uono River, the Nakatsugawa ravine under a small fish Kawai style dot, and a right hand.